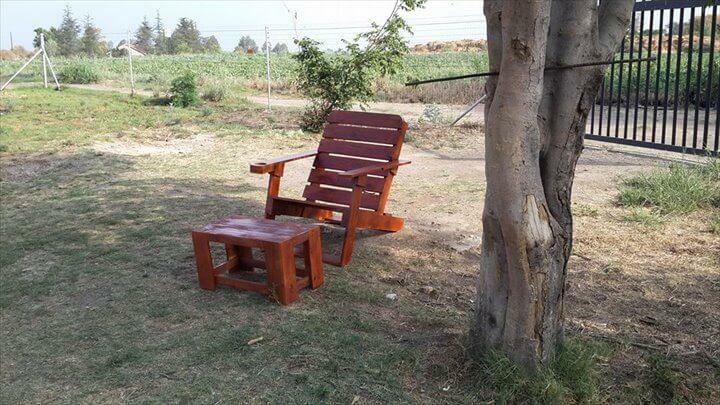 Summers have just arrived and now it’s time to have better sitting plans at outdoor! 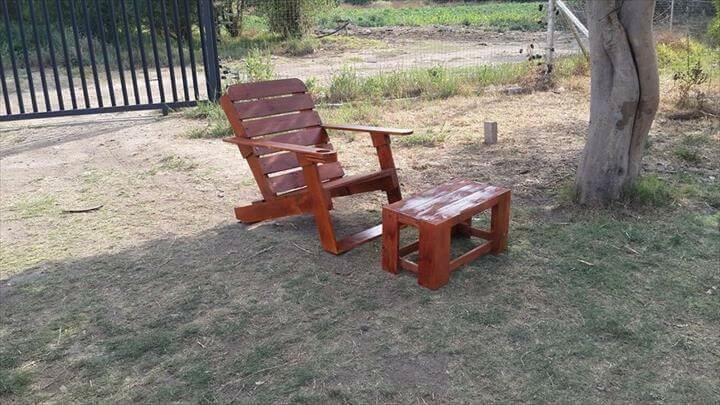 Everyone likes to spend more of his time at outdoor in deadly hot summers like in garden or at shady patio! What you have planned for this summer season? Do you have something special to double up your summer fun? 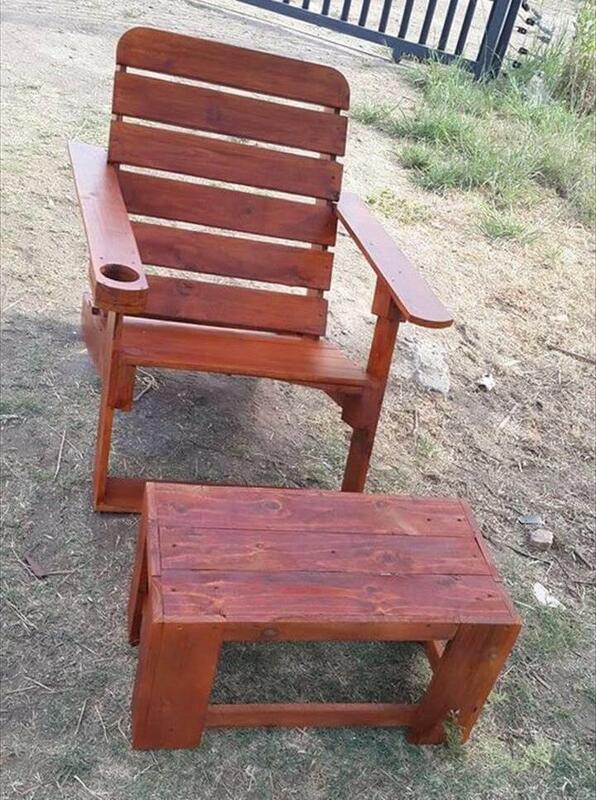 If not yet, then this DIY pallet Adirondack and coffee table set will really make you enjoyed more in summers and you will really comfortable while sitting on this DIY pallet chair for relaxing and daydreaming or even to read some interesting books! The front miniature pallet coffee table will entertain you during your sitting time and can hold your food, beverage, newspaper and books so conveniently! 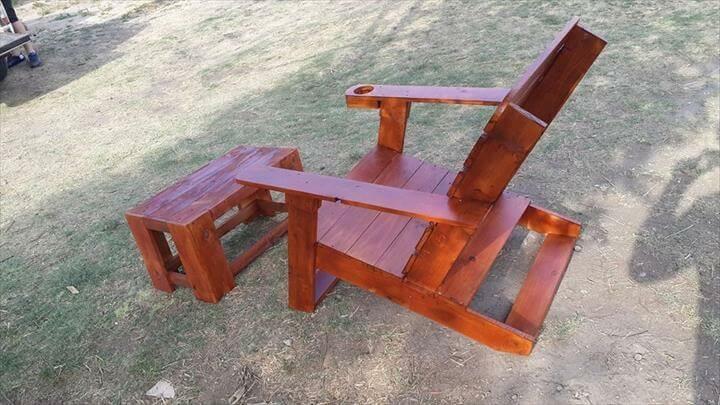 Just grab some pallets from nearby dumpsters, scrap material piles or from the shipping areas and construct both these two furniture pieces for a super comfortable and entertaining sitting plan anywhere in or out of your home! 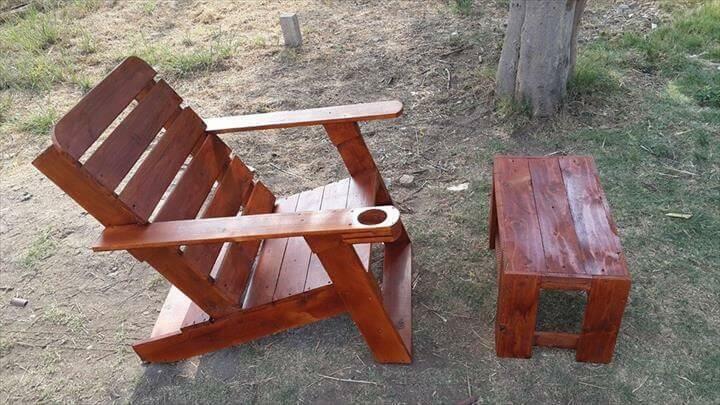 Both chair and coffee table have been stained in walnut to withstand the bad weather and sunny outdoor!